Yogadalas is Creative Yogis’ latest offering. We love coloring 'mandalas' - repetitive designs within a circle or forming a circle. Mandalas have been used by many cultures as a tool for meditation, therapy and as a way to simply unwind, de-stress and find a quiet space within to be with ourselves. We combined the shape of yoga poses in each design, so you can relax and enjoy your creative expression. When you need a break, just jump up and do the pose! There are 13 unique mandalas to color, and each design creates a yoga sequence, just for you. We hope you enjoy coloring them as much as we did creating them for you. 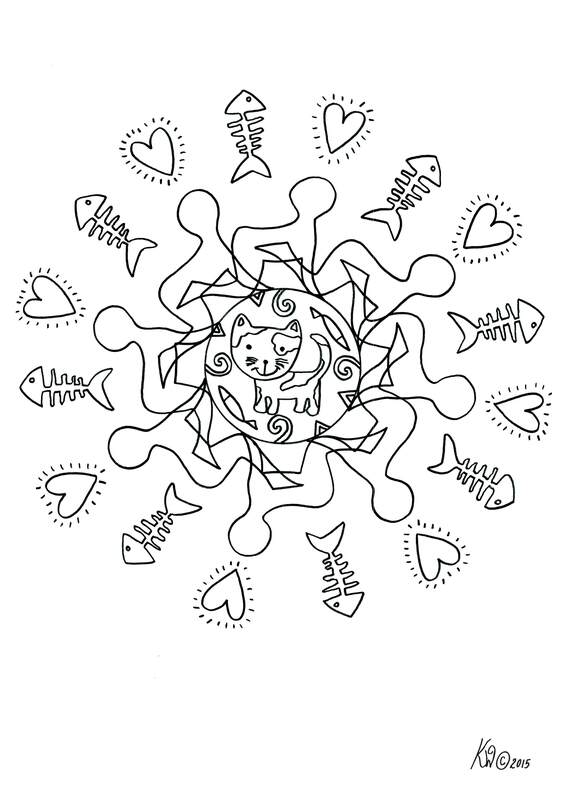 A simple, beautiful yoga coloring book, designed by Karen Wightman for children of all ages. Now available in both English and Japanese. A book that children can enjoy, use to relax, and color at anytime. It can also be used as a guide to practice yoga with family and friends, when you feel like a stretch. Children are full of joy, creativity and energy. Combine all three attributes, and children of all ages can enjoy the relaxation of coloring, the movement of yoga, and discover the 'color of yoga'. We are very excited to offer our Coloring Book for our beautiful little Japanese yogis to enjoy. It is a simple book that creates the opportunity to connect with the family and practice yoga at home as they work. Children can color the pictures, take on the character of the animals, and try different poses. Families can share quality time together in a special way. A beautiful gift for friends, this is a great resource for yoga and school teachers to use in the classroom environment in a safe way. Would you like to do some coloring in?